The big thing in science news last week was the NASA announcement that a micro-organism has been discovered that uses arsenic instead of phosphorus in its cell components. That is, it uses arsenic instead of phosphorus in its DNA, in proteins that transport energy throughout the cell, and in the phospholipids that form the cell's outer membrane. Well, that's neat, you might say, but why is it really all that important? The primary ingredients that make up life are carbon, hydrogen, oxygen, nitrogen, sulphur and phosphorus. 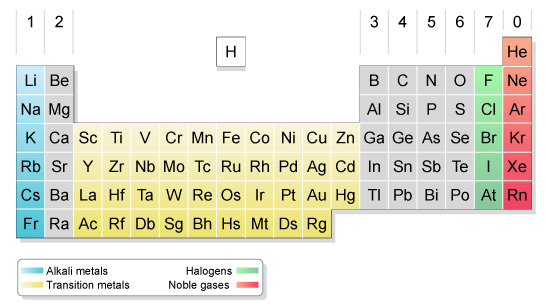 All life that we knew of on Earth (until very recently), absolutely had to have these elements in order to exist. Life-forms have been found which substitute the trace elements necessary for life, such as certain types of molluscs substituting copper for iron as an oxygen-carrier, but these six primary elements were always present. The fact that these bacteria are able to use arsenic instead of phosphorus means that it is possible that any one of the six major elements could be substituted for something else, and that life might be more ubiquitous and in much stranger forms than previously thought. When astronomers look for traces of life on extrasolar planets, which is made possible by observing the light of the planet as it transits in front of its host star, they'll have to consider more than just traces of carbon, hydrogen, oxygen, nitrogen, sulphur and phosphorus. You might have noticed that arsenic, denoted as "As" is in the same column as phosphorus, denoted "P". As it turns out, elements in the same column in the periodic table have similar properties because they have the same number of valence electrons, that is, the same number of electrons in their outermost shell. Elements that have the same number of valence electrons can form similar bonds with other atoms. This is also why science fiction writers have been thinking for years about silicon-based life forms, because silicon is in the same column on the periodic table as carbon, and thus can form chemical bonds in a similar way. Anyway, this is a far cry from finding life on other planets, but it certainly alters our perception of what can be used for the basic building blocks of life. You can find the Science Express article about these really cool bacteria here. Edit (Dec. 7, 2010): CBC News announced today that University of British Columbia Prof. Rosie Redfield blogged that the methods used to determine that these bacteria use arsenic instead of phosphorus were sloppy at best, and that the results might not be correct. I'm looking forward to finding out how the pans out and to seeing what the scientific community comes up with!